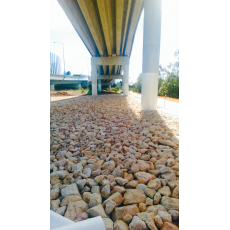 Byrne Group was fortunate to pick up a supply contract for material import of 150-300mm rock on the Inner City Bypass. Our Pinkenba Recycling division successfully crushed the rock specifically for the job which came from bulk earthwork digouts in the Valley. Thank you to HL Contractors who were a joy to work with.